Styler Chick Magazine is a fashion, style, and lifestyle magazine bridging the gap between brands and consumers through unique native advertising strategies. Additionally, we are a blogger program that connects bloggers and brands that cater to women aged 18-40, their friends, and their families. We also feature up and coming talent from around the world that have what it takes to stand beside large brand names such as Macys and Donna Karan. Styler Chick Magazine is a collaborative effort by writer and marketing guru, Kia McClain, who is the founder and CEO, and her business partner Sunny Couture Tookes, model and creative director. 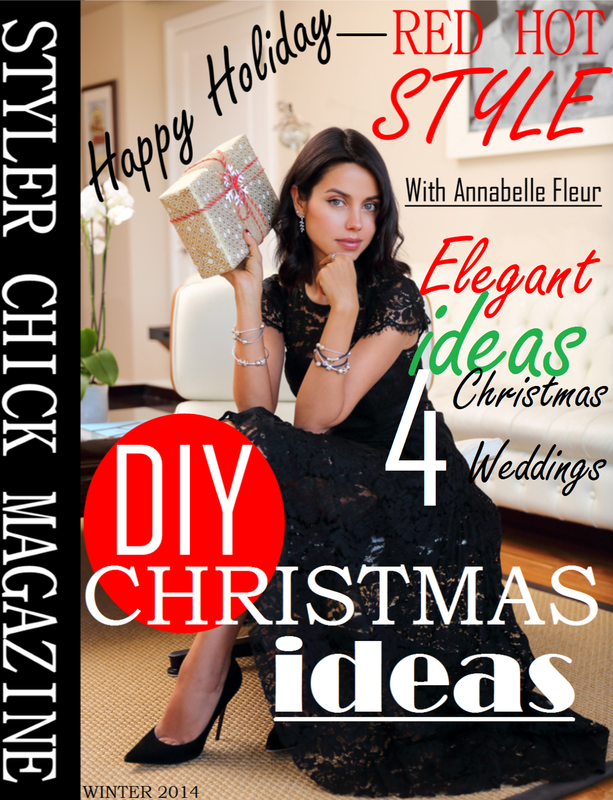 Styler Chick Magazine releases a monthly online magazine, available start March 1, 2014, and a quarterly digital print magazine, which will be available for download April 15, 2014. Why do clothes come in different sizes? While, the answer may seem obvious, (everyone wears different sizes), nine times out of ten, regardless of one’s body shape, the same outfit is often marketed in every size imaginable on store shelves. Designers often do not take into consideration that not every woman has an hourglass figure; and that one size fits all is a faulty notion. Unfortunately, fashion is not that simple; if it were, everyone would look great. Unfortunately, the everyday woman often cannot afford a personal stylist to show them how to look great, this is where Styler Chick Magazine comes in. At Styler Chick, we help our clients, and the everyday woman, dress in stylish options that are appropriate for every body type, resulting in less returns and exchanges. Confident buying leads to more purchases and loyalty overall to a number of brands. Our services help women to shop successfully online and find clothing that fits correctly. We also provide fashion, style, and beauty tips that you will love. Our services are used by consumers and brands that want to establish, maintain, or expand their customer base. The Most Fantastic Wedding Cakes.... EVER! Do You Love Winter and Snow? This is the Perfect Escape for You! Awesome Wedding Cakes from "The Caketress"
We are Getting Married on the Rim of a Volcano! Snowed in? Time to Re-Decorate Your Bedroom!